We Believe in your Kids! TNT Elite All Stars is a full year competitive cheerleading program at half year prices. 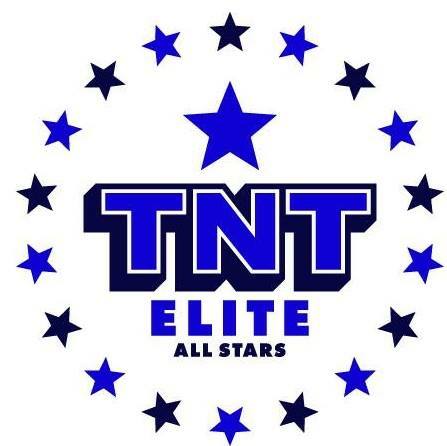 TNT Elite All Stars welcomes ALL athletes of all ages beginner and experienced to the sport of competitive all star cheerleading! We practice twice per week with tumbling INCLUDED in practice time and FREE Friday Open Gym in the $150 per month tuition price. We start competing in January and continue until the end of April. We compete locally within a 2 hour driving distance with no overnights required. Our dedicated staff works diligently to place athletes on the most appropriate team that will make them and their team the most successful. We ALWAYS strive to make sure athletes are in the most successful environment to help them grow as cheerleaders and leaders. We are proud to have offered the following teams and are excited to grow our program into the Senior age level! The Mini team is comprised of athletes 8 and under. They practice twice a week, 2 hours one night and an hour and a half the next with tumbling included in practice time. They attend about 5 competitions. Fuse is comprised of athletes 14 and under. They practice twice a week, 4 hours per week with tumbling included in practice time. They attend 7-9 competitions per year with 2 two day National events. Dynamite is comprised of athletes 14 and under that have level 2 skills in all aspects of cheerleading. They practice twice per week with tumbling included in practice time. They attend 7-9 competitions per year with 2 two-day National events. Registration is OPEN for evaluations for the 2019-2020 season!! Please contact Program Director Becca Fink at tntbeccacheer@gmail.com for more details on receiving a promo code!